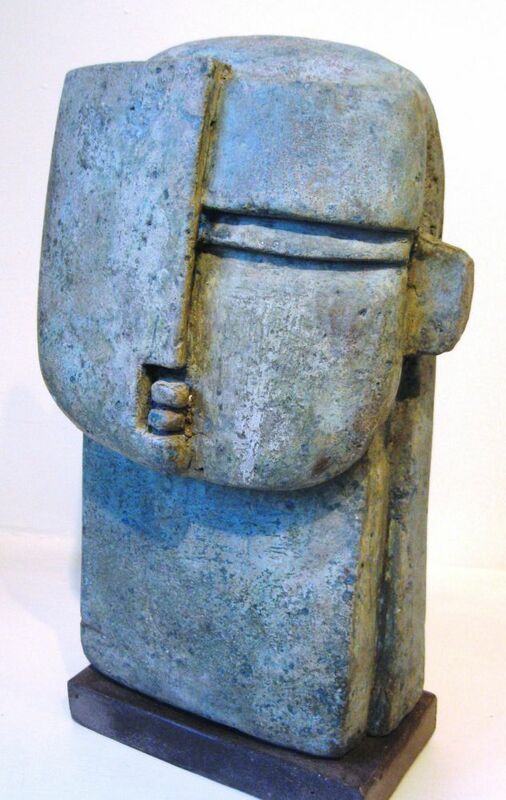 Peter Hayes has worked as a potter and ceramic sculptor in Africa, India, Japan and New Mexico. Whilst working with tribes and village potters he was intrigued that with limited technology and basic tools the craftsmen produced exquisitely beautiful surfaces. iron and glass into some pieces. He achieves wonderful forms and finishes and now has several major pieces cast in bronze. His sculptures vary from the intimate to the monumental; all have a strength that transcends size. “I am naturally drawn to shapes of artefacts and objects from other cultures and other times that remain timeless. ‘Raku’ ceramic surface have their own effect on the clay. cracks do not interrupt the surface but become an organic, integral part of the patina. as his more intimate pieces.